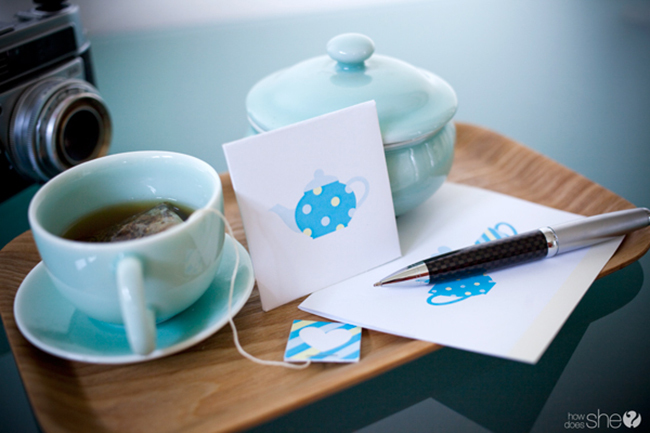 A chat over a cup of hot tea or a heartfelt, handwritten note can go a long way to cheer up a friend! I recently designed a free printable for HowDoesShe‘s blog post, “50 ways to show you care,” that combines those two small, heartwarming gestures. 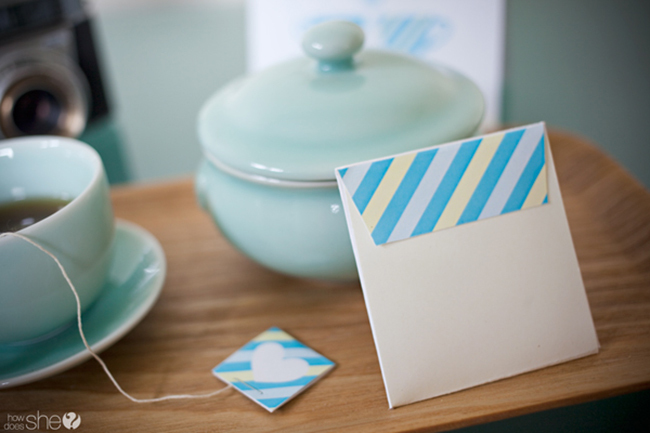 This free printable includes a folding note card, a tea packet and a matching tea bag tag – everything you need to give someone you care about a sweet, simple pick-me-up. 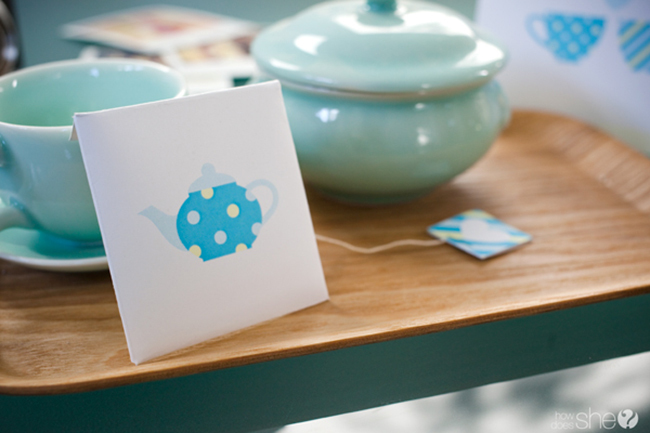 It’s very easy to make the notecard, tea bag tag and tea envelope. You just need paper, scissors, a stapler, glue, and of course, a tea bag! 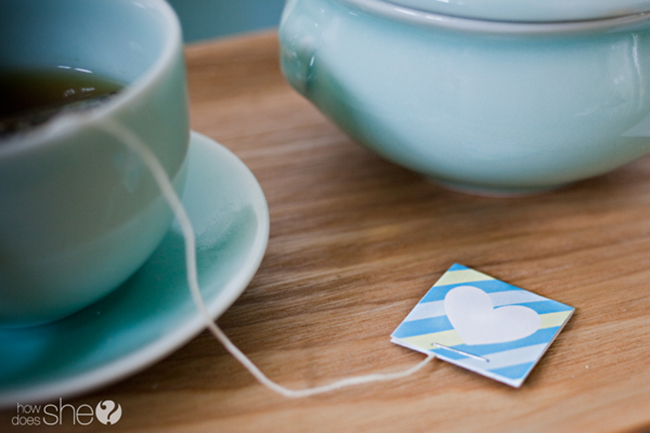 The kit includes a matching tea tag. 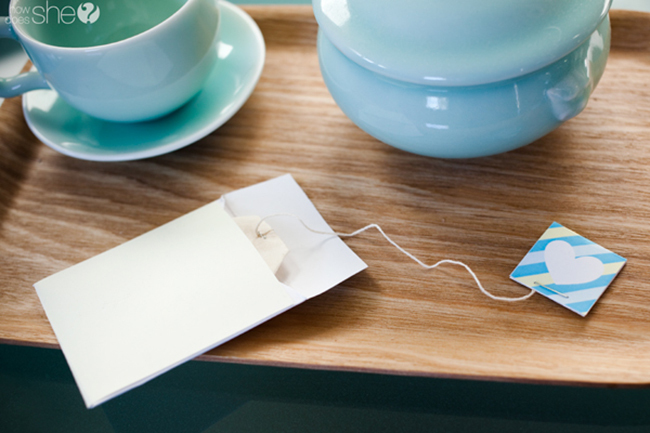 Simply fold the tea tag over the tea bag’s string and staple it in place. 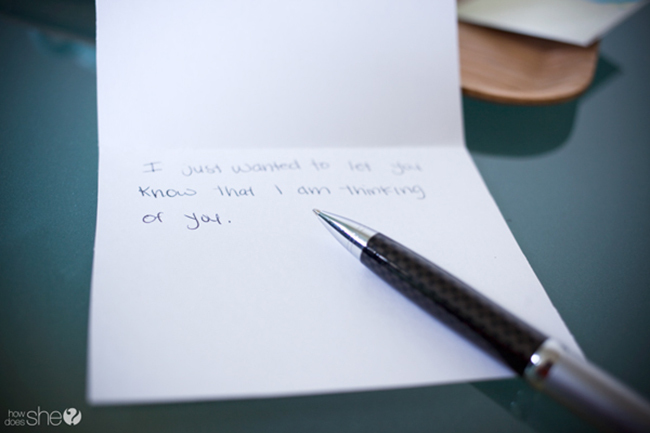 A handwritten note is the best way to convey a message that is simple, honest and from the heart. 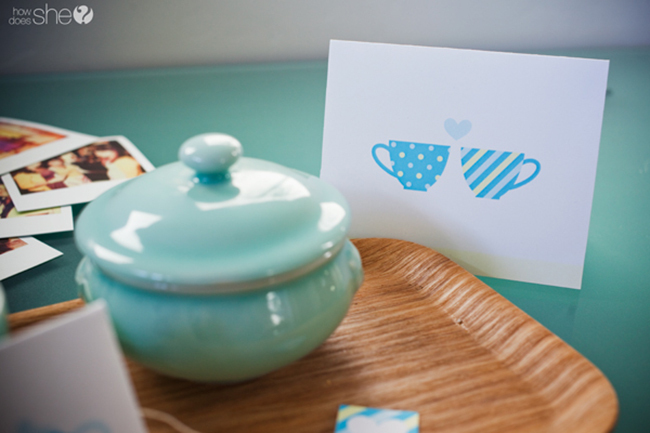 The folding card features two teacups joined with a heart, and it fits a standard A2 envelope. 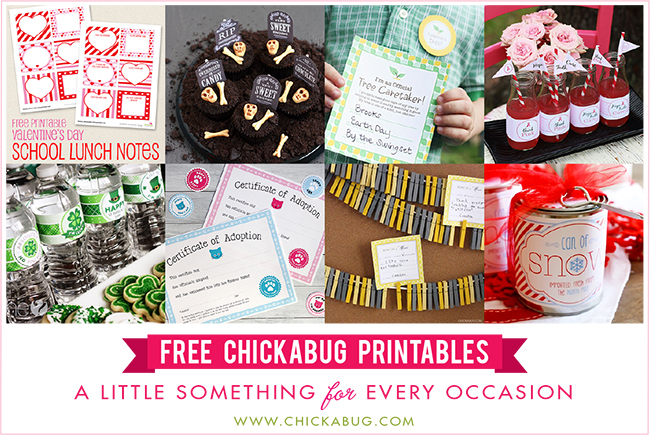 These printables were designed by Heather from Chickabug (that’s me!) for HowDoesShe blog readers. 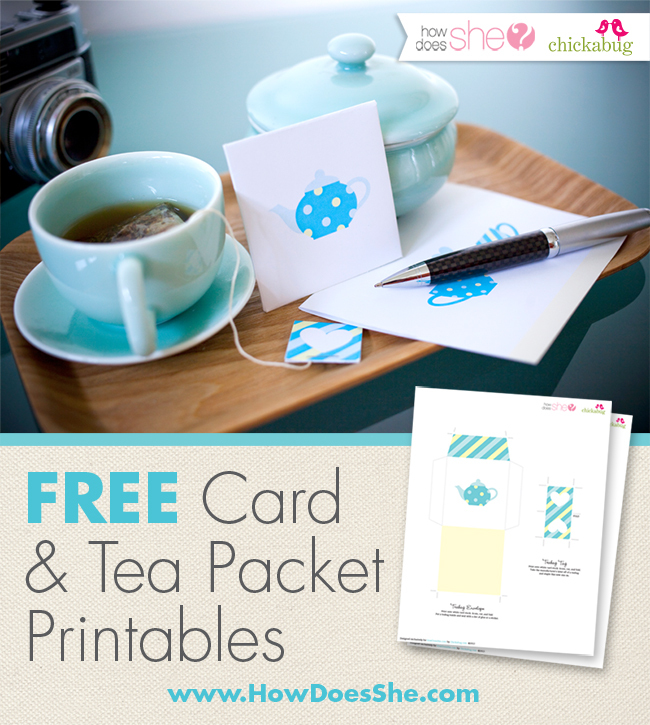 To get the printables, simply download them via this blog post at HowDoesShe. That's such a kind idea. I really like it!